Officially licensed cotton and mesh tank Oklahoma City Thunder pink pet jersey with screen printed team logo, woven NBA jock tag, embroidered NBA dog apparel logo on front and contrast trim. Just like the pro's! 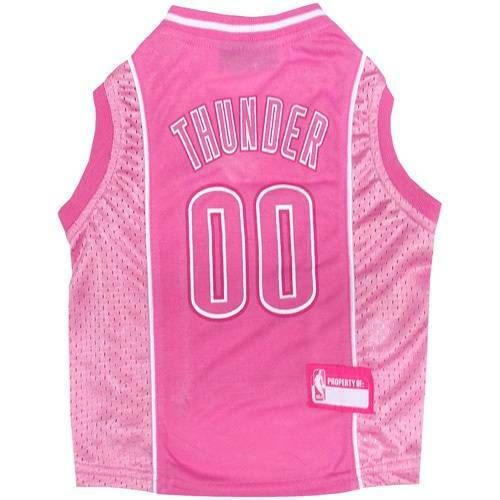 Officially licensed cotton and mesh tank Oklahoma City Thunder pink pet jersey with screen printed team NBA basketball logo, woven NBA jock tag, embroidered NBA logo on front and contrast trim. Just like the pro's!